There is a rose called Stephen’s Big Purple which is more pink than purple. There is a rose called “Wild Blue Yonder” which is purple, not blue. And now there is this Lithodora diffusa, with the common name “purple gromwell”. 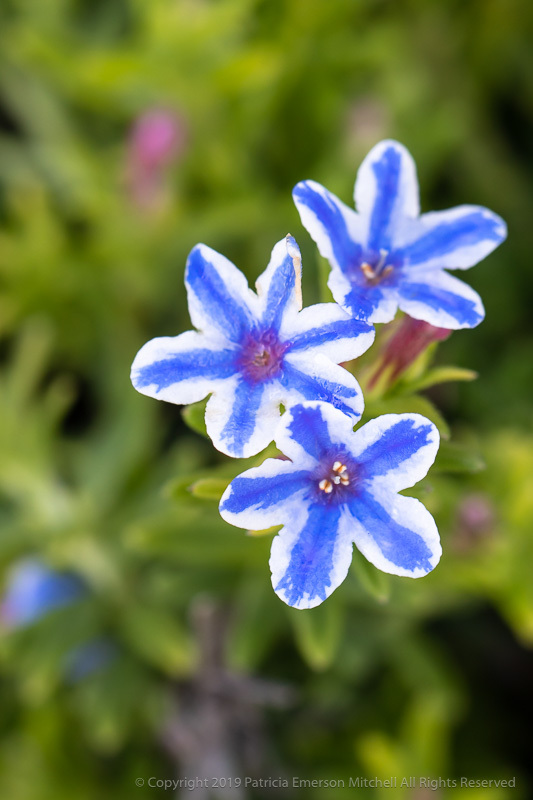 It is frequently found as a solid color blue, but sometimes there are blue and white flowers. I found these today as I was out and about, enjoying the clear weather with very little breeze. Things like this puzzle me. But then I’m easily puzzled, I suppose.